Sesame Street used animations and short films commissioned from outside studios, interspersed throughout each episode, to help teach their viewers basic concepts like numbers and letters. 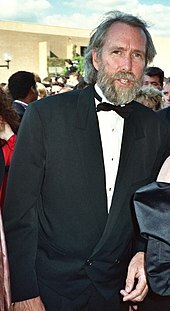 Jim Henson was one of the many producers to create short films for the show. Shortly after Sesame Street debuted in the United States, the CTW was approached independently by producers from several countries to produce versions of the show at home. These versions came to be called "co-productions". 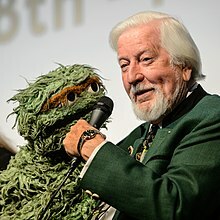 By 2001 there were over 120 million viewers of all international versions of Sesame Street, and in 2006, there were twenty co-productions around the world. By its 50th anniversary in 2019, 150 million children viewed over 150 versions of Sesame Street in 70 languages. In 2005, Doreen Carvajal of The New York Times reported that income from the co-productions and international licensing accounted for $96 million. The show's ratings significantly decreased in the early 1990s, due to changes in children's viewing habits and in the television marketplace. The producers responded by making large-scale structural changes to the show. By 2006, Sesame Street had become "the most widely viewed children's television show in the world", with 20 international independent versions and broadcasts in over 120 countries. A 1996 survey found that 95% of all American preschoolers had watched the show by the time they were three years old. In 2008, it was estimated that 77 million Americans had watched the series as children. By the show's 40th anniversary in 2009, it was ranked the fifteenth-most-popular children's show on television.